4 -CD boxed set (LP-size) with 136-page hardcover book, 100 tracks. Playing time approx. 302 mns. The famous 1927 Bristol Sessions, produced by Victor Records in Bristol, Tennessee are known as 'The Big Bang Of Country Music.' 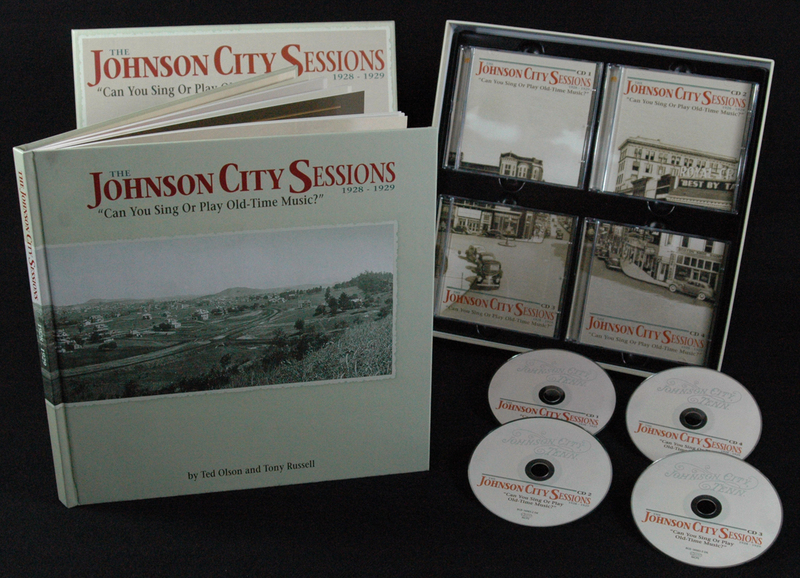 But don't overlook the recordings made in nearby Johnson City by Columbia Records in October 1928 and October 1929. 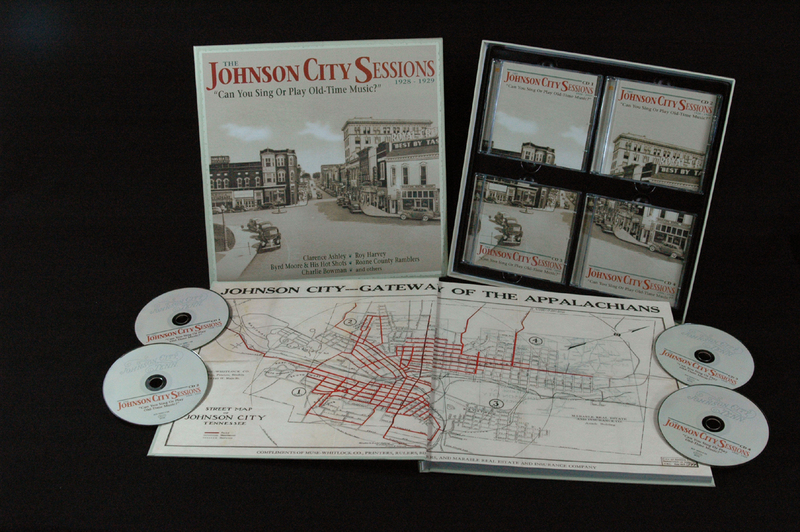 Collectively, the Johnson City recordings are regarded by scholars, collectors, and lovers of old-time music as a distinctive cross-section of Appalachian music, captured on the cusp of the Great Depression. Indeed, the final recordings of the 1929 session took place on October 24 - the infamous 'Black Thursday' when Wall Street crashed. 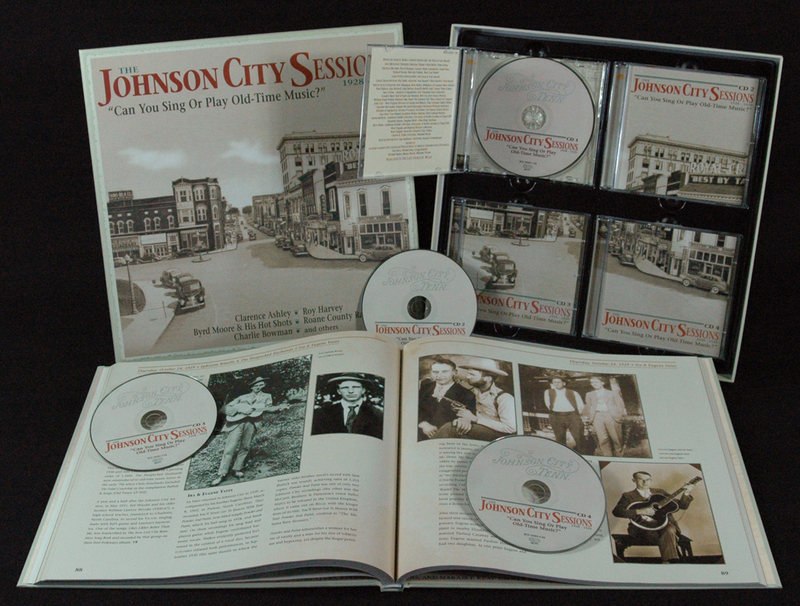 Bear Family Records has gathered the entire issued output of the 1928–29 Johnson City sessions. This is the first time all 100 songs have been issued together...and the first time many have been heard since the Depression. The accompanying 136-page, LP-size hardcover book contains newly researched essays on the background to the sessions and the artists, with many rare and unpublished photographs. Also included are complete song lyrics and a detailed discography. Three of these performances were chosen by the pioneering scholar Harry Smith for his 1952 compilation 'Anthology Of American Folk Music' - a seminal source for the urban folk revival of the 1950s and '60s: The Coo-Coo Bird by Clarence (Tom) Ashley, Old Lady And The Devil by Bill and Belle Reed, and Down On Penny's Farm by The Bentley Boys - the inspiration for Bob Dylan's Hard Times In New York Town and Maggie's Farm. Other gems include a topical best-seller of the Prohibition era, When the Roses Bloom Again For The Bootlegger, the Grant Brothers' Tell It To Me, revived by the Old Crow Medicine Show, and many more. 'Can You Sing Or Play Old-Time Music?' is packed with stringband tunes, ancient ballads, sacred songs, hillbilly blues and blue yodels - the entrancing musical world of old Appalachia. 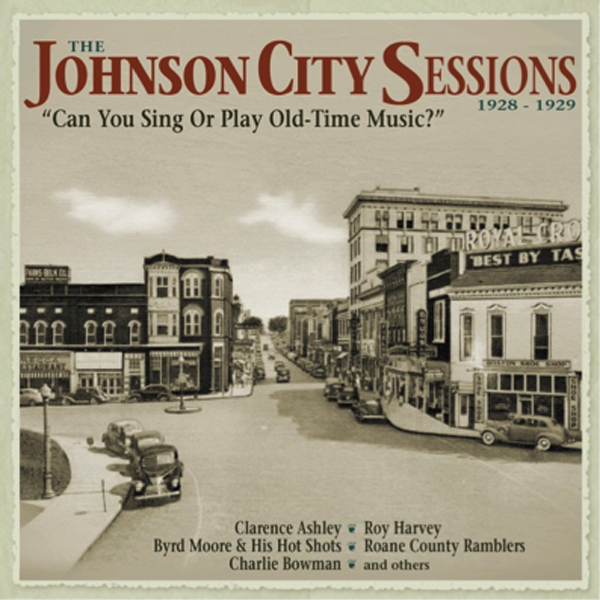 Customer evaluation for "The Johnson City Sessions - Can You Sing Or Play Old-Time Music? 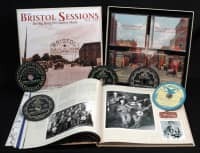 (4-CD Deluxe Box Set)"
Vor rund zwei Jahren nahm sich Bear Family Records den Bristol Sessions an, nun folgt ein weiteres Box-Set zur Geschichte der Country-Musik. Johnson City : sehr gut , eben so die Bristol sessions die ich bei BearFamily besztelte. Unsere Gluckwunschn fur diesze zwei boxe !!!!! The X Factor sessions of old-time hillbilly music! Bear Family have worked their usual magic with the sound quality, the 138-page book is readably authortative and you get the original of Clarence Ashley's The Coo-Coo Bird. Still, that's part of giving us the full picture, for which all praise to Russell, Olson and Richard Weize. Germany's Bear Family Records has become known in the traditional music world for ist superbly curated box sets. 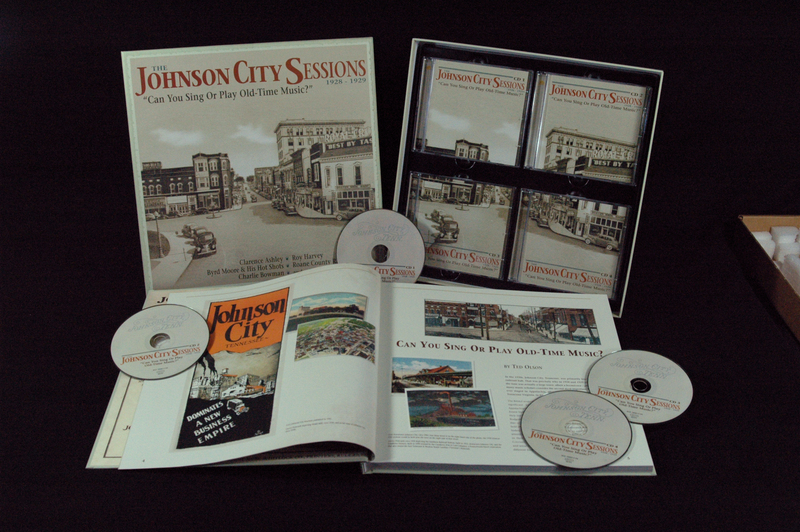 The company's most recent traditional release is The Johnson City Sessions, a four-CD box set chronicling the 1928-29 Columbia recording sessions in Johnson City, TN. The boxset includes four CDs, compiling 100 tracks, and is accompanied by a superbly researched 138-page hardbound book. Like most collections from the boutique German lab, it deserves a hearty recommendation. Those that want to know more about this important period in music history should check out this Bear Family box set, feat. 4 CDs of gems and a magnificent hardback tome that crams a wealth of musical treasure within ist 136 pages. 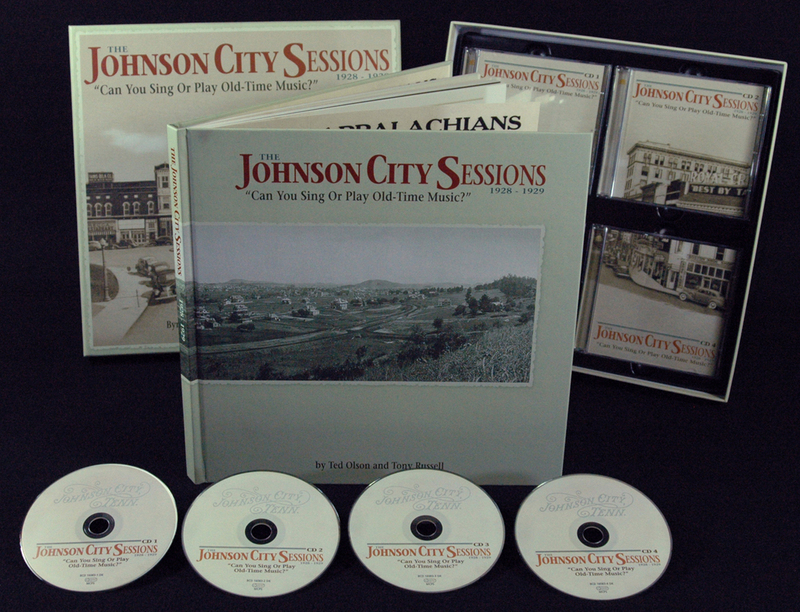 The Johnson City Sessions are important because, in my opinion, they show Appalachian music in the widest possible variety at the cusp of the Great Depression. Diese 4-CD-Box bildete eine entscheidende Phase in der Geschichte der Countrymusik vortrefflich ab. The recordings have been cleaned up and are of superb quality. The 4 CD set comes with a sumptuous hard-back book, which is made to the usual fantastic production quality of Bear Family. If the 1927 Bristol Sessions can be considered \the Big Bang of Country Music\", then the Johnson City Sessions were a major aftershock. Old Time Herald 6/13	Ted Olson"